We came across a brilliant article in the April 2013 issue of Sunset Magazine featuring Oakland vegan cookbook author Bryant Terry. 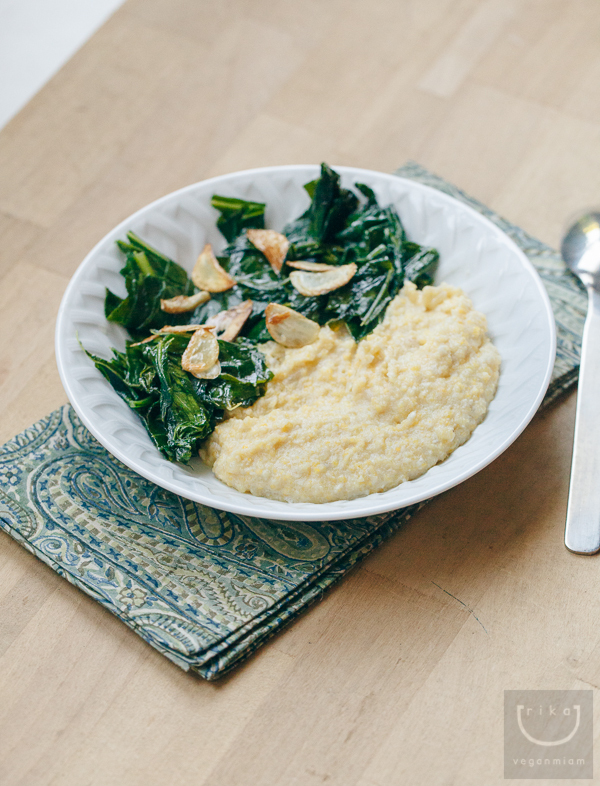 We tried two of his featured recipes: Garlicky Mustard Greens and Grits with Creamed Cashews, We substituted Collard Greens for Mustard Greens due to availability at our local Farmers Market. 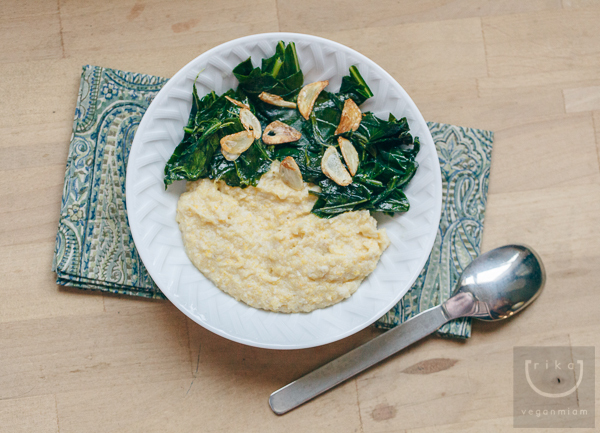 For the yellow grits, we used Bob’s Red Mill Gluten Free Corn Grits. 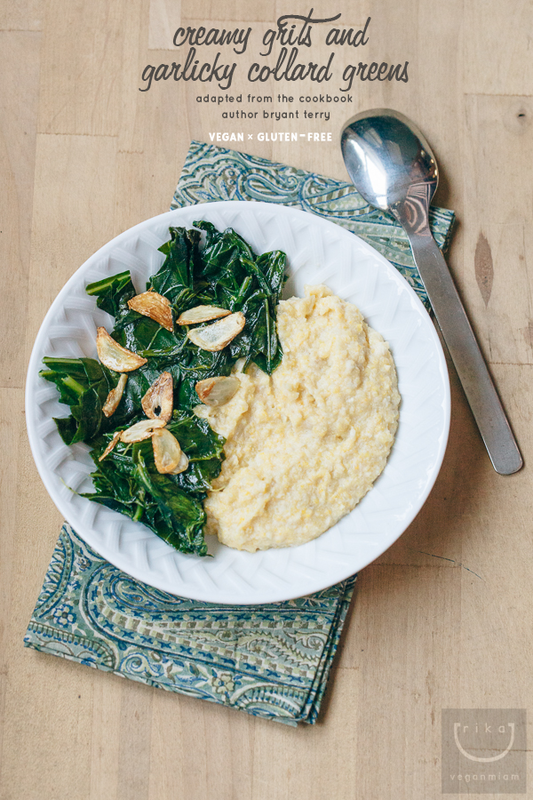 Creamy Grits + Garlicky Collard Greens is a recent summer favorite! Terry’s dessert recipe for the vegan Molasses Cake with Maple-Sugared Pecans sounds really good, hopefully we will make it before we leave for Spain next month. This recipe is in one of his books, The Inspired Vegan. I snapped a quick photo of the cake on iPhone. These photos are by the amazing Thomas J. Story from Sunset Magazine. Terry’s kid Mila is so adorable! Terry is also the cookbook author of the latest books, The Inspired Vegan and Vegan Soul Kitchen. Terry creates healthy and plant-based soul food inspired by African-American and Southern cooking. Soak raw cashews in water at least 3 hours and up to overnight. Drain cashews and place in a blender with ¼ cup water. Blend until smooth and set aside. Heat oil in a medium frying pan over medium heat. Add onion and ½ teaspoon salt and cook, stirring often, until onion is caramelized, 8 to 10 minutes. Set aside. Meanwhile, bring 3 cups broth to a boil in a medium sauce pot. Add grits in a slow, but steady stream, whisking constantly, until mixture is smooth. When mixture comes to a boil, reduce heat to low. Simmer grits, stirring occasionally, until most of the liquid has been absorbed, 5 minutes. Add remaining 1 cup broth and ½ teaspoon salt and cook, whisking constantly, until thickened, another 10 minutes. Stir in creamed cashews and onions. Cover and cook, stirring occasionally, until grits are soft and fluffy, about 30 minutes. Bring a large pot of water, seasoned with ½ teaspoon salt, to a boil. Meanwhile, fill a sink or bowl with cold water. Swiss the greens in the water and then lift them into a colander. Repeat the process a few times until the water runs clear. Boil greens until bright green, about 2 minutes. Drain well in a colander and press to remove as much liquid as possible. Set aside. Raise heat to high and quickly add sugar (or agave), remaining 1/2 tsp. salt, and the vinegar. Cook until sugar dissolves, about 3 minutes. Add reserved greens and stir to coat. “Be careful of splattering hot oil”, says Terry. Cook until most of the liquid is gone, about 3 minutes. 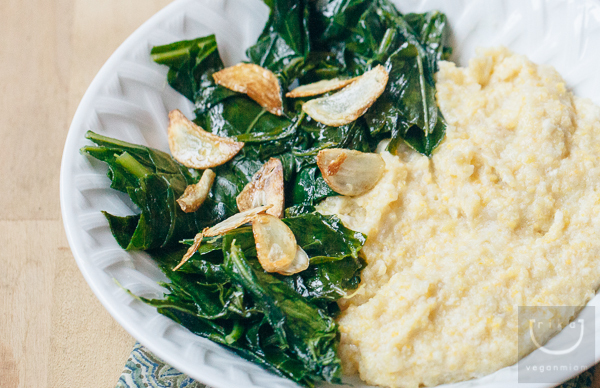 Serve greens over grits (recipe above) and sprinkle with garlic chips. Loosely adapted from Bryant Terry. 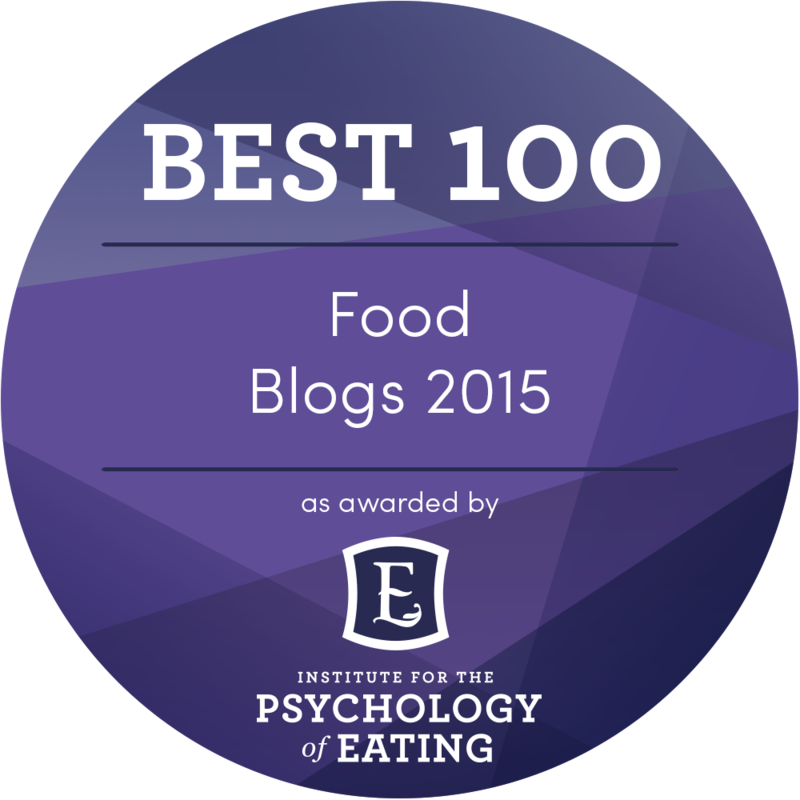 The dish can be made gluten-free using the right ingredients. Soak raw cashews in water at least 3 hours and up to overnight. We prefer the overnight method. You can use mustard greens which was the original ingredient. Almond-Panko garnish: In the photographs, the garnish is made of toasted almonds, panko bread crumbs and fennel fronds. Season them with salt, pepper and olive oil. Bake them on a baking sheet for 30 minutes at 275 F until slightly golden.